New look and lots of general updates and tweaks. Members Cars page expanded to include the early members cars from the 1950’s - 1960’s. The Santos Family car show held on Sept 1, 2018 was a big success. The Rod and Wheelers club supports this show every year with teams of volunteers helping with set-up, parking and other duties. A lot of organization and coordination goes into this club commitment all of which is provided by our Pres Duane Verhaege. At the conclusion of the show the Santos Family and Pete Ravalin recognize those responsible for the shows success. The plaque shown below was presented to Duane and big thank you went out to the Rod and Wheelers club. Lets do it again next year! Ever wonder what guys are talking about while hanging out at car shows? I have air-bags on my car, they are called tires, I have four of them. I only have one, my wife! During the August 2018 Goodguys show Mike Burns spent most of his time polishing his beautiful 55 Chevy truck and to prove it check out the reflections showing Tom Damico's 55 Chevy and Nick's Nomad! ​We might see this in a "Mequiar's" ad someday. ​Charlie Macnally won Best 1940's car at the Saratoga car show. Congratulations to Charlie! ​R & W winners at July 21st Holister Street Festival. Out of 6 entries, the club had 3 winners! ​No Limit Customs is Open for business! This full service Custom Car and Hot Rod Shop established by Mike Silva and Shawn Worth is recommended by the Rod and Wheelers. ​​No Limit Customs was created by two longtime friends Mike Silva and Shawn Worth. They both have passion and history in the custom car and hot rod industry. They were both raised in households with automotive backgrounds. Shawn’s dad had various hot cars and trucks throughout Shawn’s childhood. Shawn worked in the summers with his dad at Diablo Engine in Dublin, first cleaning up the shop and then tearing down engines prepping for rebuilding. As he got older he owned several different trucks from lifted 4x4s to frame dragging air ride street trucks. Shawn’s current project is a 1968 C-10 full custom suspension and LS power plant. Mike started his hot rod lifestyle in a similar manner Mikes dad also had several custom and hot rod cars through Mikes Childhood. He also worked the summers in His dad’s upholstery shop. Starting from the bottom and working his way up to doing the custom work when it came time to get his own car Mike picked up a customer’s Camaro. He drove it all through high school making mods and drag racing at the local tracks. He still has that car today. After years of honing their skills life brought these two together they quickly became friends and began working on projects together their skill sets complemented each other well allowing them to both expand on their creativity. Working in each other’s garage they did projects for themselves and friend and the occasional customer. In 2009 Mike’s father began his battle with cancer. Mike moved out to his parents ranch to help take care of the ranch, late 2010 Mikes dad lost that battle showing lots of people the reality that tomorrow is not a given. This set mike off on a path to finally take his High School hot rod to the next level. With Shawn’s help the two of them set out and built Mike’s Camaro into Pro-Touring beast. The car made its debut at S.E.M.A. in 2012 it won the best muscle car award at the good guys show the weekend after and was featured in Chevy High Performance Magazine October 2013. Now the guys had a new problem. Now that Mikes car is done and sitting in his garage that takes up precious project space. Shawn jumped right on that and within days Mike gets a call from Shawn and he simply asked “Are you in?” Mike answered yes and that evening they were standing in their new shop. With no real customer base Mike and Shawn worked countless late nights and weekends developing their name and building on an already great reputation. In December 2015 they got a call from a customer needing a big job done in a short time frame. That was the final push that they needed. This time it was it was Mike making the call asking “Are you in?” I’m sure you can guess the answer. Mike and Shawn have been at it ever sense. From the simple maintenance items all the way through a full build No Limit Customs works skillfully and passionately keeping their customers cars on the road, maintaining, upgrading and customizing their projects. They can also help new comers and experienced rodders with a complete build covering plan budgeting and project management. For a full listing of services offered refer to the Preferred Suppliers page on this web site. The clubs mascot and Mark Will's best freind and companion, Sofia, has passed away. She loved our hot rod events and could always be found riding "shot gun" in Marks red 1933 Ford Coupe. The club will miss Sofia. I have air-bags on my car, there called tires, I have four of them. I only have one, my wife! 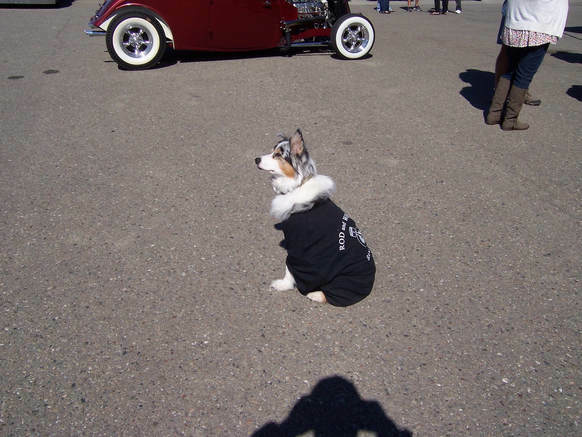 ​Rod & Wheelers club members had a great time at the 5th Annual J&M Hot Rod Garage Open House. Lots of Car Guys getting together, great cars and food! Tom Damico won the Peoples Choice Award with his 55 Chevy. Check out the custom trophy. 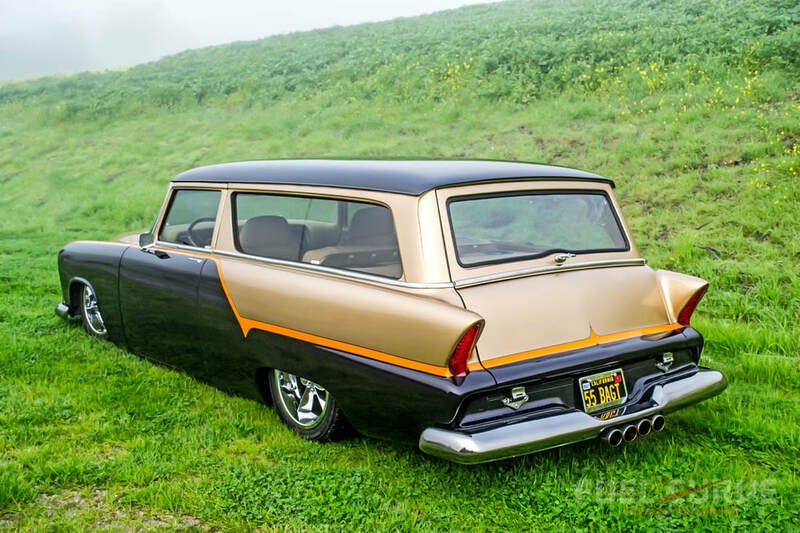 ​Dave "Big Poppa" Pharr and his wife Merianne's 1955 Custom Plymouth Wagon. As Dave and Merianne say this is one BA-GT wagon. BA-GT stands for BADASS - GRAND TOURING ! Dave and Merianne where involved in every detail of this award winning build. It has several custom body mods along with 57 Packard tail lights and beautiful two tone paint (Amethyst and Metallic Gold). Dave wanted to keep everything MOPAR so he installed a Hemi engine into a custom engine bay. Top it all off with an air suspension ride and an interior designed by Dave. This is one BA - GT two tone wagon. Check out those tail pipes and the pink dice ! Ed Ercolini (Dago) is shown in photos below with the 1962 Dodge Dart two-door hard top he restored in memory of his late son Dennis. Dennis's daughter Michelle (Dago's grand-daughter) is now the proud owner of this very rare Dodge. This rare model Dodge belonged to his son Dennis that was an all-stock low mileage (just 23000 miles) car. The car spent almost 33 years in storage much of that time under a back yard almond tree. Ed spent almost two years bringing this family treasure back to life. He gave the car a full restoration inside and out which included a new 440 motor and numerous hard to find body parts. 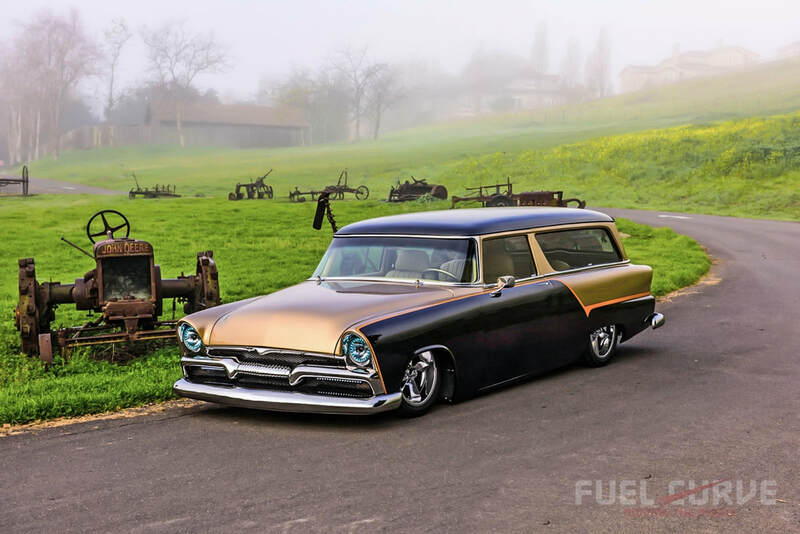 This story is an example of why we love the car culture and hobby that is so much more than just sheet metal, paint and upholstery. Cars such as this family Dodge show the love, passion and devotion a family can enjoy and the memories that it brings. Great job Ed and you are a proud grandpa! Dave Rail and his son Scott built a 29 Model A rat rod as a father/son project. For a Christmas present to his dad, Scott had a professional photographer create this photo. Does Dave look like a proud father? ​Pete Ravalin's cooler - very cool, nice job! A new addition to the site is the ability to watch an old film showing Rod and Wheeler car club footage from 1956. This film was shot by original and current R&W member Joe Maniglia (with help from his mom). It features Joe's 1939 Chevy with the chromed out dual carb straight six and midnight-auto Olds flippers. The location is the old King road air strip in San Jose also know back in the day as Little Bonniville. Go to the Home page on this site and scroll down. This photo of the club steering wheel cover was recently discovered in the February 1959 issue of Car Craft magazine. It is shown in Jerry DeVito's 1957 Ford . Larry Block was spotted recently at his favorite diner. Someone said he took his wife out for their anniversary. See photo below. Can you pick out Larry Block in this photo from the late 50's?? ?